When possible, booking directly with a hotel is the best way to make your reservation. This ensures you earn hotel points; your night counts toward elite status qualification; any elite status benefits you have are recognized; and if you need to make changes, it’s much easier to deal directly with a property. That said, let’s look at when it may be necessary — or get you a better deal — to book hotels through an online travel agency (OTA) or bank portal —like the Chase Ultimate Rewards Travel portal — and the best ways to maximize your reservation. There are now hundreds of online travel agencies and apps focusing on hotel bookings thanks to the commissions paid to the agency. Most readers will recognize the popular OTAs in the US as Agoda, Expedia, Hotels.com, Hotwire, Priceline and Travelocity. Switching to bank portals, you’re probably familiar with these banks that offer portals which allow you to book hotels: American Express Travel, Amex Fine Hotels & Resorts, Citi ThankYou Rewards, Chase Ultimate Rewards Travel, US Bank Travel and Wells Fargo GoFar Rewards. Most banks have some type of portal or agreement with one of the above OTAs, which allows you to book travel with cash or their respective bank rewards. You want to book an independent or boutique hotel that isn’t part of a chain and doesn’t have its own rewards program. Your workplace requires you to use an online travel agent like Expedia or Travelocity because the boss thinks it saves the company money (don’t laugh, it happens). The OTA has a sale or promotion too good to pass up. A few apps like Hotel Tonight and Final Price also have really great prices from time to time. You want to redeem your transferable bank points to cover the revenue cost of a hotel. As the travel expert within your family and friends, you are routinely asked to book a hotel for friends and family (more on this below). You’ve done the quick math and recognized the cost of a hotel will require fewer points to book through the bank portal than through transferring to the hotel program. If you’re a Citi Prestige cardholder and want to utilize the 4th Night Free benefit, you must either book through the ThankYou Travel center or on the phone with a Citi Prestige concierge. Use the OTA Rewards Program — Most online travel agencies have their own rewards program that equate to 1-10% cash back per booking. The great benefit on most of these is that unlike with hotel loyalty programs, you can book for you friends, family and co-workers and get credit in the OTA rewards program for their bookings. For example, if your aunt who rarely travels needs a hotel, offer to book it for her and have her reimburse you. You’ll earn credit in the OTA program under your account. 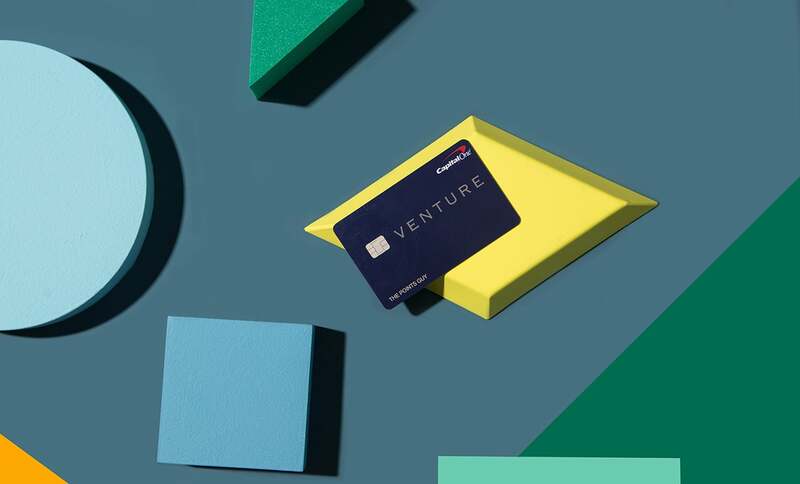 Use Hotels.com and Capital One Venture Rewards Combo — We’ve covered the new partnership extensively on TPG, and this is another reminder to earn a 20% rebate toward future hotel stays with the two programs. Hotels.com gives you a free night after every 10 nights (via the form of a credit equal to the average cost of your nights), and the Capital One Venture Rewards Credit Card and Capital One VentureOne Rewards Credit Card both get you 10x Venture miles on hotels booked and paid through the Hotels.com Venture landing page. Check Cash-Back Portals — Multiple online shopping portals incentivize you with cash back to shop for hotels on a particular site. I use cashbackmonitor.com to look up the OTA I want to use. Perhaps the most exciting report currently is the Ebates plugin for Safari is tracking Hotels.com bookings made through the venture landing page, adding an additional 4% to the 20% rebate the program combination offers. Attempt Best Rate Guarantee Claims — Most national and international hotel chains challenge you to find a better price for a room on an OTA compared to their site. If you’re successful, you’ll receive either a percentage off the room or a flat credit back. Though they’re now quite challenging to be approved, since you’re booking through an OTA anyways, it’s worth a peek at the hotel website to see if you can find a better price with the OTA. Remember, everything about the room and booking conditions must be identical between the hotel’s website and the OTA for a best rate guarantee to be approved. Keep in mind you must complete your booking directly with the hotel if you have a successful claim. Bank Portal Bookings — These are pretty straightforward, since your points have a fixed redemption value. The are two tasks I complete before redeeming my points toward the revenue cost of the hotel: a quick calculation of transferring points to the hotel program vs. redeeming through the portal to make sure I’ll use less points in the portal, and, second, making sure the price for the hotel in the portal either matches or nearly matches the publicly available rates. Costco for Hyatt and Hilton — If you book a Hyatt or Hilton property through the Costco Travel portal, you’ll receive all points, elite status nights, and elite benefits for your stays. In my limited experience search the rates, they seem to match the publicly available rates on Hilton and Hyatt’s websites. The bonus is if you’re a Costco Executive member, you now get 2% cash back on Costco Travel purchases. Amex Fine Hotels & Resorts — If you book a luxury property listed on AmexFHR.com you will receive all benefits of the loyalty program as if booking directly through the hotel. Don’t forget all the other benefits of FHR bookings, so make sure to check if the property you are going to book is listed on the site. Virtuoso — This program is similar to Amex Fine Hotels & Resorts, except there’s no online booking method. You need to find a Virtuoso-registered agent to make the bookings for you. You’ll receive the same benefits of Fine Hotels & Resorts bookings and earn loyalty points and elite status nights. If I want to utilize the Citi Prestige 4th Night Free benefit or book through Amex Fine Hotels & Resorts or Virtuoso, or if I’m booking for friends or family, I’ll head to an OTA or bank portal rather than booking directly. If I had a Capital One Venture Rewards Card, I’d also be searching Hotels.com to look at potential cash savings. Otherwise, I’m going to try and book direct to enjoy elite benefits and points earnings. At the end of the day, I know many people who travel infrequently and/or just want simplicity. If you go through a cash-back portal and earn a Hotels.com reward night credit, it should leave you feeling pretty good.